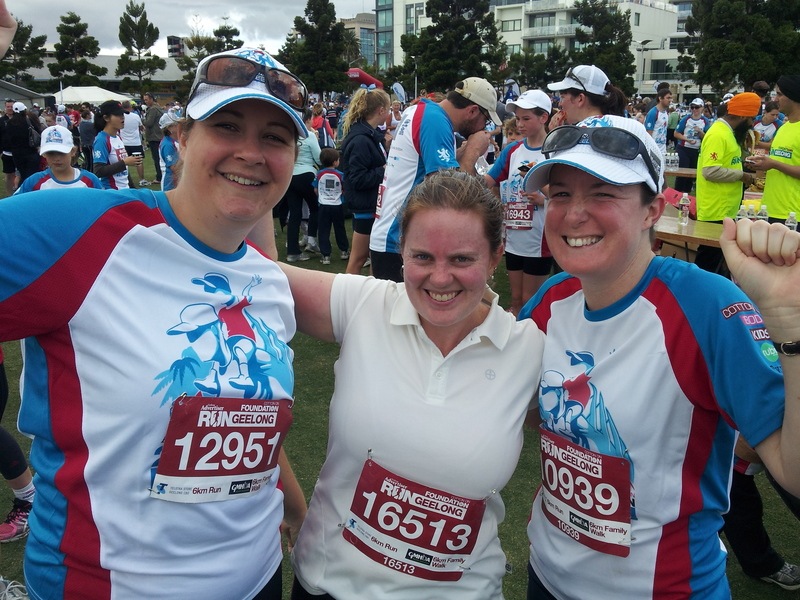 My running partner Caz, good friend Ruth and me after the Run Geelong event in November. This time of year is the one time our culture deems it acceptable to stop and take stock of our lives, reflect on the past year and hope for the next. In some ways it is a conflicting period. Many are enthusiastic to “start fresh”, make big plans for the next 12 months, get motivated and follow their dreams. However most people are on leave for some time, relaxing by the beach or in the backyard, soaking up the sun and indulging in food and alcohol. By the time Christmas and New Year’s is over, we have a few more weeks holidays or quiet times at work, Australia Day flies by, then before we know it January has vanished and so have our good intentions! For those of you who relate to this scenario all too well – no fear. Making plans or resolutions and revisiting your dreams is not restricted to the New Year period. You can act at anytime, don’t wait for the start of the year, month or week. The “right” time is when you’re ready – be it a Thursday, late one evening or deep into winter! The important thing is to recognise when you’re ready and take advantage of that mentality by taking action! It took me a long time to be ready to write this post. I could use lots of excuses for why I haven’t done it, but the truth is – I was afraid. I wasn’t sure what to write or how to write it. I even brainstormed and started a couple of drafts. I discussed it with friends. I realise now that I needed to distance myself from all the emotions that went with writing the last blog for the year that was Becoming Thirty! A month ago, and even earlier, I was spending a lot of energy and using a lot of brain space wondering how I would approach this post. Even when I spent a week’s holiday in Hobart with my partner, I was consumed by ideas and thoughts, sentences and paragraphs mulling about in my mind. Once we returned, I had my birthday, which was in some ways also the birthday of Becoming Thirty. Ideally I would have liked to have posted this blog then, however, it didn’t eventuate. I placed too much pressure on myself to produce the perfect post to wrap up the colossal year I’d had. I was fearful. Had I achieved enough? Was I satisfied with my accomplishments? Would my readers be satisfied? How did I even begin to sum up everything that had occurred in relation to Becoming Thirty and my life in general over the last 12 months? Christmas came and went, Boxing Day, New Year’s Eve, New Year’s Day! Slowly I began to detach from my own expectations. Some of you may have thought I would never get here. There were times when I doubted myself. As time fizzled by, I thought “it’s too late now to do the post, I’ve left it too long”. I felt it was easier just to let the whole blog wither away – to give up without accepting my failures or recognising my successes. To fade away without finality. In the past, I was that person. I gave up when things got tough – when it was too difficult to face my fears. Now, thanks to my journey with Becoming Thirty and numerous other experiences throughout the year, I am learning to rationalise those fears more and control unconscious thoughts that stimulate the “flight” response in me. Whilst most of the challenges I tackled were more self-development orientated than community development orientated, I feel in the long run that I have helped others by helping myself. During the last year, with all its challenges both public (on the blog) and personal I have become more mindful, more accepting, more accountable and more resilient. Perhaps my parting “message” then, is that conservative concept of taking “responsibility for your own actions”. Perhaps it is about “starting with the man in the mirror” – changing yourself, changing your ways and the way you think and look at things, in order to change the world. I have spent too long judging others, criticising and commenting on the way they do things when I should have been concerned with my own actions and outcomes. It’s okay to be afraid, but don’t let irrational fears control you. In 2013 what will you do to make the world a better place? Hi Rhian, congrats on posting the final blogpost — that last step of perseverance is always the hardest. It’s been brilliant watching your growth during Becoming Thirty, and I feel privilieged to have walked alongside you.